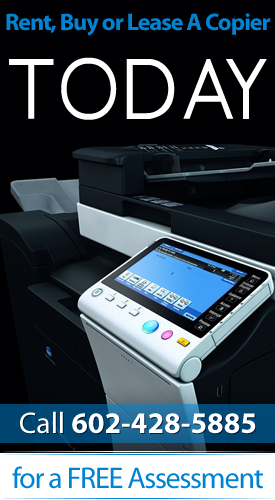 How much does your office print or make copies of documents in a day? Although there is a call for businesses to go paperless, a lot of industries can seem to keep their hands off the printers and copiers available in the market. It is not that they don’t want to. It is just that there is a great demand for their office to make these documents available to more people. Getting a high-end printer used to be what people did, until they realized that going for copiers Arizona is the more cost-effective way to get things done. Why the great shift to copiers? Office spaces used to be filled with several difference machines, each one for a particular purpose. They took up a lot of space in the office that business owners had to rent out something bigger. Business expansions used to take a lot of money because it meant for equipment was needed that’s why they have to pave the way for bigger space over anything else. Apart from that, business owners also had to deal to with the printer that can accommodate various sizes of paper to match the documents that there need to work with on a daily basis. Oftentimes, these machines come with a big price tag too. Most of them range from $1000 to $10,000 and maybe even more. It means a huge bite from the company resources. For start-up companies, this has become such a struggle that they would end up with more debt than they want to just to make sure they get the right printer for their needs. All of these became the issue that gave birth to the concept of using copiers instead. Instead of the usual purchase that businesses make, they opted for copier leasing agreements. These were the kind of agreements that you want to keep for yourself because in the long run, working with copiers saved them a lot on costs and on time too. What facts about copiers will make you want to keep them? Fact 1: A copier is usually more than just what its name suggests. 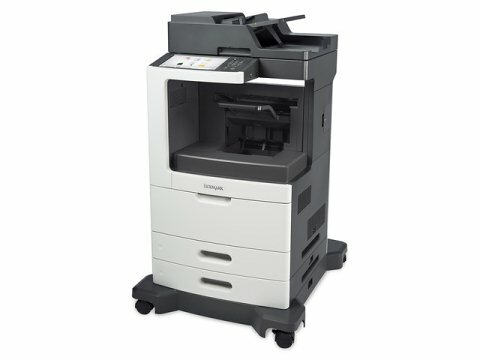 In fact, most copiers available in the market today are multifunctional. The term itself refers to copiers offering more than just the copying option. In fact, it can function as a printer, fax machine and a scanner if you want it too. Fact 2: Copier leasing has become a good option for business owners who are just starting out and testing the waters. Instead of shelling out a huge sum of money to buy that copier you are not too sure would work for you, the leasing agreement will allow you to test try several copiers before you make your choice. Fact 3: Copiers are made to help offices save on space. There is no need to rent out another office space just so you can accommodate the huge printers, fax machines and scanners that you need for your business. With all these functions in one copier machine, you are sure to find your office free up with more space than you could ever imagine. There are more than a handful of reasons why a copier should be worth your investment. Not only does it offer to do the job of more than one machine, but it also saves you a lot on space. These small details about space may simple all too simple now until you see how it significantly changes everyone’s perspective in the office. Is your copier worth keeping? It definitely is one of the machines that you will need to live by.